It earned itself a date with No. 2 North Carolina State at 7 p.m. Tuesday at Reynolds Coliseum in North Carolina in one of four eight-team regionals. If Hofstra is going to capture the National Invitation Tournament championship this year, it’ll have to be as a No. 7 seed, and only if the team survives an opening-round matchup against a Power Five school. 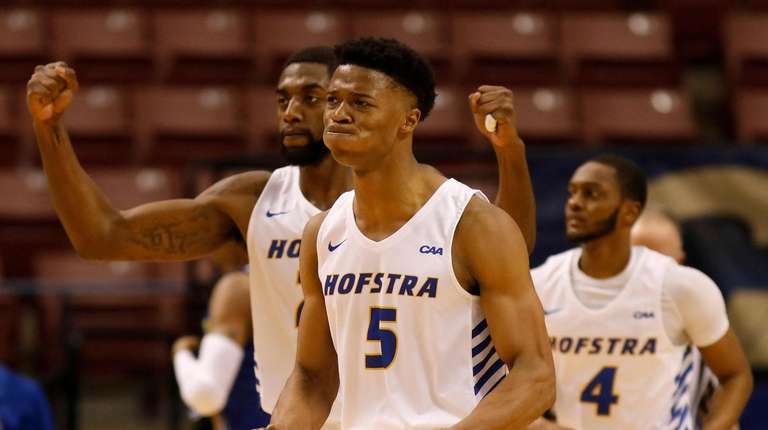 The Pride’s postseason journey became more complicated than previously projected Sunday night when Hofstra — which many bracketologists predicted would be a sixth seed — dropped down a slot. It earned itself a date with No. 2 North Carolina State at 7 p.m. Tuesday at Reynolds Coliseum in North Carolina in one of four eight-team regionals. The Wolfpack (22-11), seeded eighth in the Atlantic Coast Conference Tournament, lost to No. 1 Virginia, 76-56, in a quarterfinal. Hofstra (27-7) nearly had a date to The Big Dance but lost to Northeastern, 82-74, in the Colonial Athletic Association Tournament final. The first three rounds of the NIT will be played at the higher seed beginning March 19, with the semifinals and championship game at Madison Square Garden on April 2 and 4. Hofstra never has won the NIT. This year’s NIT will include some rule changes: An NBA-width free-throw lane, a shot clock that resets to 20 seconds after an offensive rebound (down from 30) and the elimination of one-and-one free throws. Plus, the three-point line will be extended to 22 feet, 1¾ inches — 20 inches farther out — which could benefit Hofstra, the CAA leader in three-point field-goal percentage at 38.9 percent. 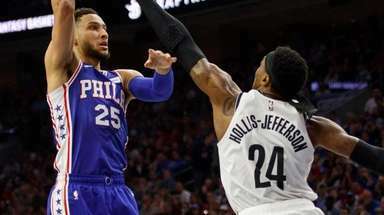 Tuesday could be a shootout, as each team led its conference in offense. North Carolina State averaged 86.1 points and Hofstra 83.6, led by Justin Wright-Foreman’s 27.0 points per game.